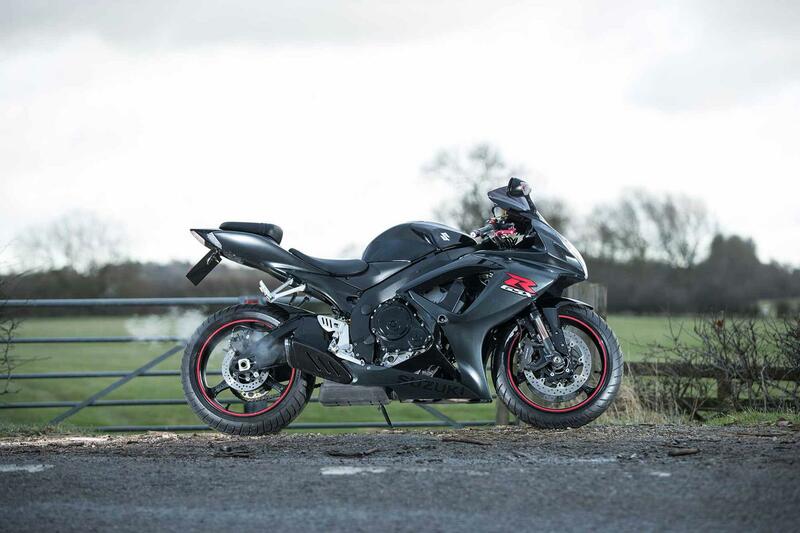 The Suzuki GSX-R750 name has been with us since the mid-1980s and, for many sportsbike riders, offers the ideal blend of speed and power - producing similar grunt to a litre bike, alongside the revviness of a 600cc supersport machine. Senior Online Reporter Dan has owned 600cc sports machinery since passing his test around five years ago and was eager to tryout this legendary 750 machine for himself. "Perfect balance is a tricky concept to build into a motorcycle, especially a sportsbike, but the Suzuki GSX-R750 is arguably the best blend of sheer speed, fluid handling and outstanding braking that anyone could ask for. "The GSX-R750 is devastatingly fast, at the track, or on the road and incredibly easy to ride too. It's so good, you wonder why anyone buys the Suzuki GSX-R1000, except to say `My Gixer’s bigger than yours, yah-boo." MCN online review, 23 November 2006. The Suzuki GSX-R750 is a bike I have always wanted to ride. 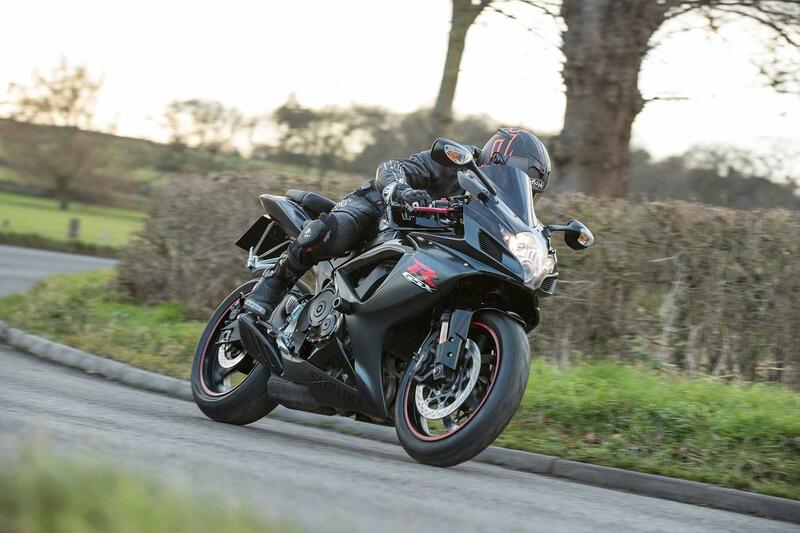 Acting as the perfect medium between a revvy supersport 600 and a big-power litre bike, it’s the ideal recipe for thrills both on-track and on-road. Firing up the bike on a crisp December morning outside Fasttrack Motorcycles in Leicester (0116 262 3099), I was nervous that the fabled Gixer’s 125bhp would be too much of a handful for the almost-negative temperatures of early January. However, in no more than half-a-mile, I was astonished to find just how easy it is to ride. Despite the sporty, hunched-over position, the bike feels incredibly roomy. The footrests are in a natural position and there is next to no strain on your wrists, even at low speed. With a seat height of just 810mm, I can also comfortably flatfoot the bike with both feet, despite only being 5ft 7in tall. Sitting on the GSX-R is a nice place to be. Up front, there is an easy-to-read dashboard, which combines a digital speedo, gear indicator and trip meter (amongst other features) with a charmingly old-school analogue rev counter, which climbs all the way to 15,000rpm. On the bars, the switchgear is placed logically, with nothing out of reach of your thumbs. This bike has also been fitted with shorty-levers, which give great feeling when operating the front brake, however can leave your clutch hand aching after prolonged use. There is a good level of visibility from the mirrors too, which neatly house the front indicators and help sharpen the bike’s aggressive profile. They are also easily adjusted on the fly, with minimal stretch from the bars meaning less distraction to the rider. This bike has been fitted with clear, GSX-R-inspired grips, which feel slippery in the palm of my Furygan Fit-R 2 leather gloves. This is a questionable addition to the bike - seemingly defeating the object of a handlebar grip. Another modification of note are the R&G crash mushrooms on the fairings, which show signs of a low speed drop on the left-hand side, thanks to gentle scuffs along the rim. This is supported by light scraping on the left of the tail and a scuffed clutch lever. The striking front end is completed by an aftermarket black tall screen, which becomes a shade of cherry red when the sunlight passes through it. It’s big enough to offer more wind protection and doesn’t look out of place with the bike’s black and grey colour scheme. 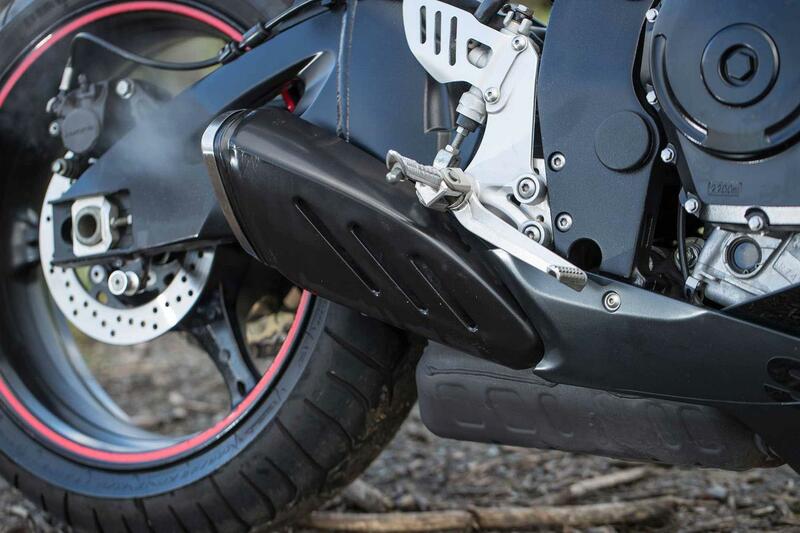 These neat touches continue throughout the bike - including a tail tidy, which does away with the standard, bulky number plate bracket and draws your attention firmly to the compact rear light unit that still looks modern and purposeful 12 years on. Away from the stop-start traffic of central Leicester, there’s chance to open the throttle fully and experience the bike’s full potential. Despite still having the standard pipe installed, the GSX-R sounds fantastic, offering a throaty induction roar from low down in the rev-range, which develops into a high-pitched wail as you move towards the redline. This bike has also been appropriately dressed in Pirelli’s Diablo Strada tyres, which offered plenty of grip in the Baltic temperatures and allowed me to achieve some degree of lean when the going got twisty. This was complemented by the sharp brakes - complete with braided lines - which help you to bury the front end into the tarmac, before tipping into a bend. The adjustable suspension also felt plush and forgiving – riding over any ruts, potholes and cattle grids I came across with ease. This could be the perfect sportsbike all-rounder. The Mechanic, Ben Needham: Technician at Lincoln-based B and B Motorcycles. He’s worked there for around seven years and has 17 years of experience. "Charging problems are quite a common thing with these bikes and I’ve had a few come in with issues relating to the regulator rectifier. There was a recall for it for the 600s, but the 750 didn’t get one for a long time. "The way people mount them can be problematic, too. They are mounted at the front of the engine and they can get very hot. To avoid this, some people move them. Check for wiring problems and make sure it’s been put in a sensible place. "Some companies do aluminium heat shields for them and we have fitted a few of them for people. The generators can also burn out because of this, too. "The 750 was recalled from the K4 to L4/L5 models (2004-2015) to have the brake master cylinder replaced. This is because air was getting into the system and making them feel spongy. Check yours has been done. "A fault can also occur with a large rubber-booted connection on the left hand side under the fairing. This connects the main loom to the clocks and lights and can cause faults with gear position, a sticking rev counter and the instrument lights not working. 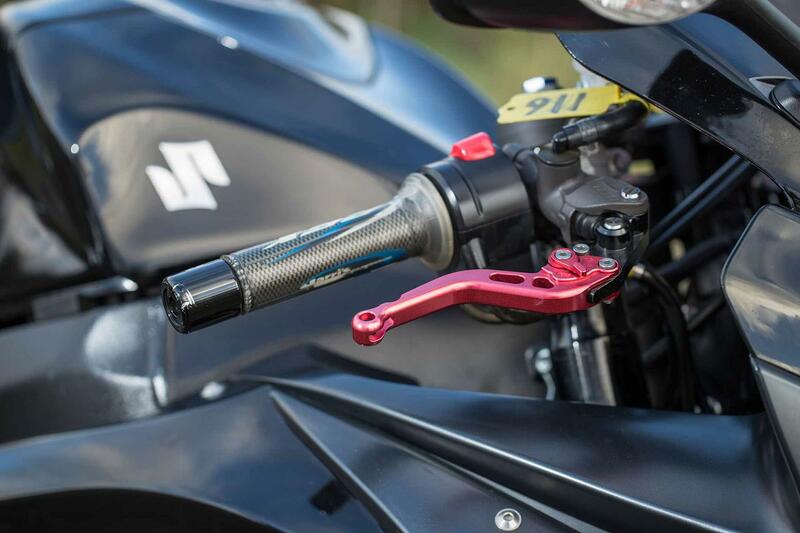 "Another very common problem throughout the whole GSX-R range is that the exhaust valve can stick, which causes an FI light to come on. If it’s stuck closed, it can cause running issues. "If the valve has seized, the best thing to do is remove the cables and remove the right wire from the ECU to stop the FI light coming back on. It’s best to ask a dealer to get the right wire if you’re not sure. "We do get some 750s with high mileages that don’t get cleaned properly, which get seized suspension linkages. This is not a quick fix and involves removing the swingarm, heating parts up and offering some gentle persuasion. "When aftermarket clutch levers are fitted incorrectly and poorly adjusted, you will end up with starting issues and sometimes even an FI light will come up on the dash. This will more than likely say it’s an ISC valve fault. The bike will either idle poorly or struggle to pull away smoothly - all caused by a little clutch switch. "The 750s and the 600s are the ones that people like to pimp-up. This is mainly things like levers and different pipes. Sometimes, the bike will develop a rough idle if you just pop the can on and make no other alterations. "Tail tidies are things that we fit quite a lot of. People do try and fit their own LED indicators and don’t think about the 25 quid relay that sits alongside it. Without that part, the indicators will flash too quickly or just stay on permanently. "I’ve seen a few pass through the workshop that have been converted into race bikes, too. Not a lot of them get majorly tuned and a lot of racers want to work on their own bikes. Look out for a drilled sump on the bike you buy, as that could suggest a racing past."